Partnership results in an aluminium alloy for use in 3D additive manufacturing processes for aerospace and defence components. 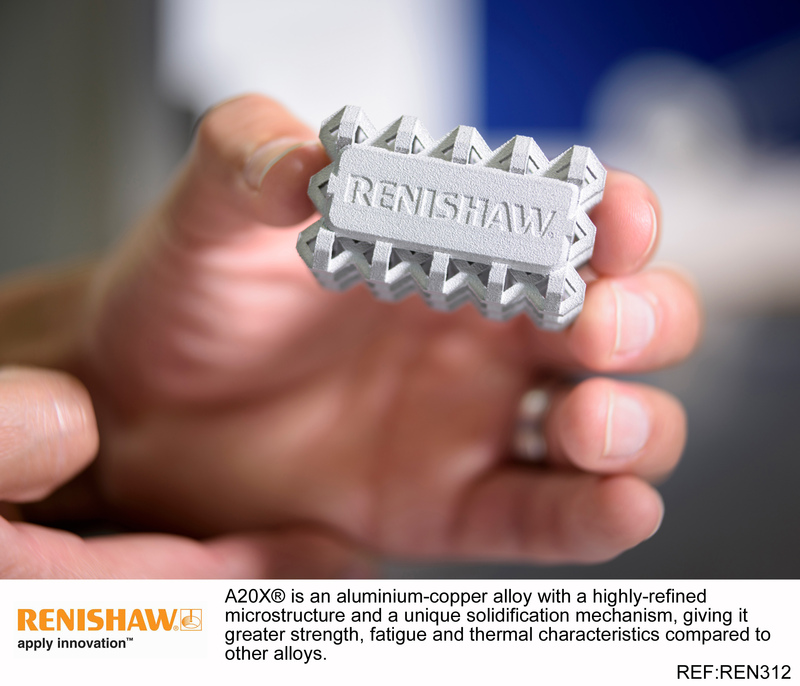 Renishaw and Aeromet are collaborating to establish additive manufacturing process parameters and material properties for Aeromet’s A20X aluminium alloy. Following a successful debut at the Paris Air Show last month, the two companies are working together to optimise the processing techniques for the high-performance alloy on Renishaw metal additive manufacturing (AM) systems. They are also investigating a range of heat treatment regimes to deliver optimum properties in additively manufactured components. The results of these developments will be made available to Renishaw and Aeromet customers. A20X is a family of next generation high-strength aluminium alloy technologies, developed and patented by Aeromet. The A20X family includes the Metallic Materials Properties Development and Standardisation (MMPDS) approved A205 casting alloy and AM205 powder for additive manufacturing. A20X is an aluminium-copper alloy with a highly-refined microstructure and a unique solidification mechanism, giving it greater strength, fatigue and thermal characteristics compared to other alloys. Originally developed as a casting alloy, A20X cast parts are available and A20X powder is available for use in additive manufacturing.